DeadBeeF is a minimal and lightweight music player for Linux. It is highly customization through plugins and focuses on an interface that is fast and responsive without any extra cruft. A new version for DeadBeeF has been released bringing in lots of new features and fixes. Packages for many other distributions can be found here. 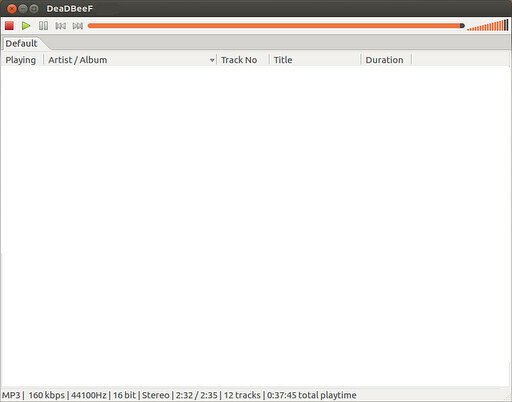 No Comment to " DeadBeef LightWeight Music Player for Ubuntu/Linux Mint "